On June 29th, 1613 a fire burned down the Globe Theater, where most of the plays of William Shakespeare premiered. The fire started when a prop cannon ignited the wooden beams and thatch roof. Although the theater was destroyed only one person was injured, a man whose breeches caught fire but were quickly dosed with a bottle of ale. 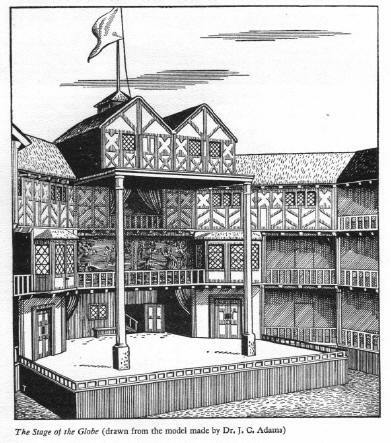 The Globe was built in 1599 using timber from an earlier theater at another location, named simply The Theatre. 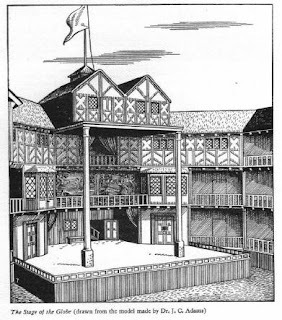 It would eventually be rebuilt on the same site in 1614 but with the rise of the Puritans who frowned on plays and the theater in general, the new Globe would be closed in 1642 and demolished by 1644. It was never rebuilt. In 1997 a reconstruction was opened near the original site.